If you have bought T-Mobile Samsung Galaxy S II SGH-T989 already and somehow looking for the user manual so that you'll learn how to tweaks your newly android phone and have fun making use of it, download the user's guide from the link below. 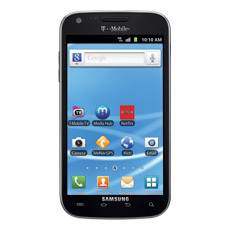 The T-Mobiles Samsung Galaxy S II is also known as "Hercules" - this devices comes with 4.52 inches display screen with a little bit more curved in the four corners body unlike the size of Galaxy S2 Sprint D710 and Galaxy S2 AT&T which has 4.3″ only, so do the SGS2 GT I9100 International version. But still it uses Super AMOLED Plus Capacitive Touchscreen with TouchWiz UI v4.0 and protected with scratch-resistant surface via Corning Gorilla Glass Display. For the screen resolution, and equipped with WVGA touchscreen in (800 x 480 pixels) pixel resolutions. Isn't it nice!